*360° Image, putar/ click & drag pada gambar untuk detail. Full-Length, Fully Boxed Frame. With a full-length, fully boxed ladder frame, the All New Nissan NP300 Navara has proven to be one of the toughest pickups on the road. 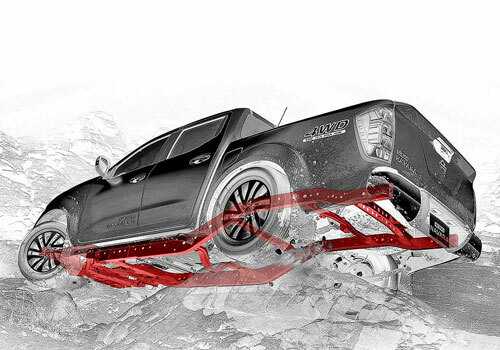 The full-length, fully boxed ladder frame adds torsional stiffness to enhance performance, on- and off-road. Aerodynamic Design. With sweeping lines that cover a rugged core, the bold new design of the All New Nissan NP300 Navara helps cut a powerful, efficient path. Functional Rear Spoiler. Adding a sporty touch to your All New Nissan NP300 Navara, the functional rear spoiler helps improve fuel efficiency by reducing air drag. New Bold Front End. 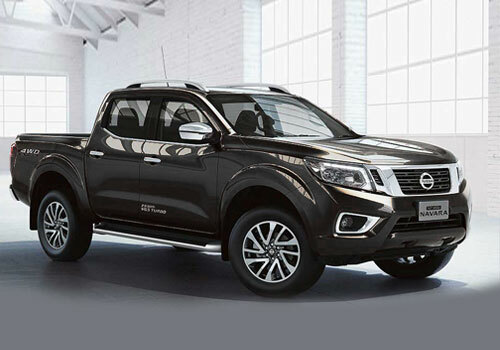 Featuring an aggressive chrome grille, the All New Nissan NP300 Navara is no pushover. If you want to know what tough looks like, look no further than the new bold front end. LED Headlights. Light up your path like never before with full LED headlights. Featuring a strong profile, these headlights help to complete the look that lets everyone know you’re driving the All New Nissan NP300 Navara. LED Daytime Running Lights and Automatic On/Off Headlights. All New Nissan NP300 Navara serves up a stylish first impression with its signature standard LED Daytime Running Lights, allowing others to see you better on the road. And whenever your headlights are left on after you've left the vehicle, All New Nissan NP300 Navara will automatically turn them off for you. How's that for peace of mind? Vehicle Dynamic Control(VDC). A slick spot in a corner can suddenly have you going in a direction you didn't want. Stability Control monitors your steering and braking to help you maintain your steered path under certain conditions by reducing engine output and/or applying brake pressure to specific wheels. Dual Airbags. Dual SRS (Supplemental Restraint System) front airbags automatically inflate to help protect the driver and front passenger from front-end collisions. ABS. Helps you maintain steering control during a panic stop, so you can still manoeuvre around an obstacle. EBD (Electronic Brake Force Distribution). Automatically sends extra force to the rear brakes when it detects there's additional weight in the back. YD25DDTi Engine. 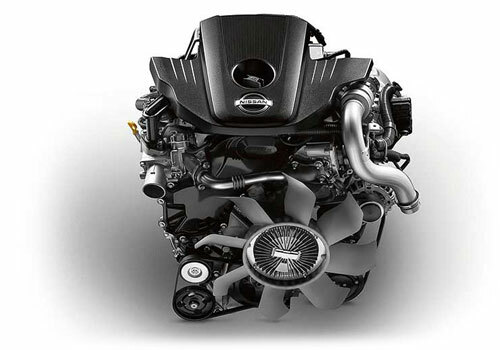 A 2.5-litre intercooled turbo-diesel engine with increased horsepower and torque increases fuel efficiency by more than 19% compared to previous models. 7-Speed AT. A wide-range 7-speed automatic transmission helps to ensure fuel efficieny and a smoother ride, regardless of the job. 6-Speed MT. 6-speed manual transmission with close ratios in lower gears and longer ratios in higher gears provides excellent pulling power and driving fun, along with uninterrupted power delivery and improved fuel economy at high speeds. Suspension. 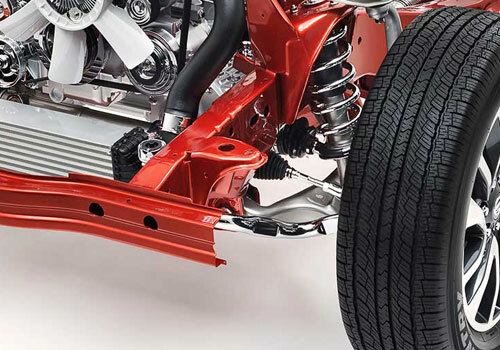 On- or off-road, you'll experience a smooth and comfortable ride from the steel double-wishbone front suspension and an overslung rigid leaf-spring rear suspension. Active Brake Limited Slip(ABLS). Helps provide the traction you need up front to help keep your steering in control..
Hill Descent Control. Tackling hilly terrain? Now you can do it with more confidence and control. Hill Descent Control helps you maintain steady speed and braking so you get back down a steep grade more safely. Hill Start Assist. 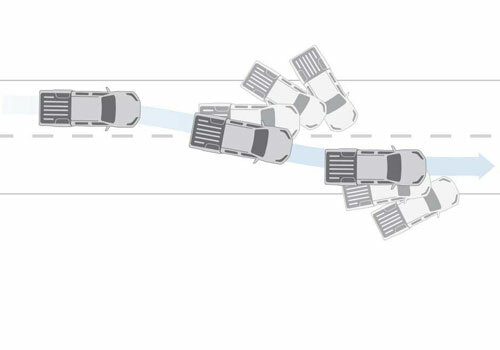 On an incline, Hill Start Assist can help keep you from rolling backwards when you're accelerating from a stop. Spacious D/C. 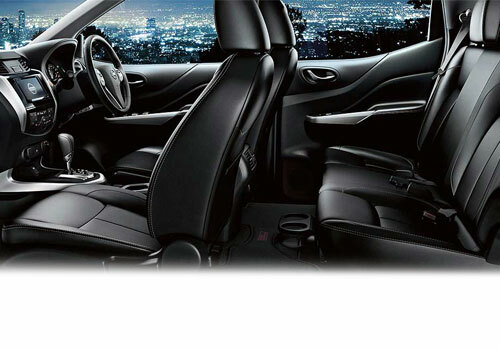 A spacious interior with sedan-like back seats - molded by high-quality materials and intuitive ergonomic design - provides a premium experience for all five passengers on board. Premium Dash Design. A simple, but elegant dashboard with everything intuitively placed. Whether you're looking at your gauges or listening to music, your dash is the command centre of your vehicle - and you're in control. Dual Zone A/C. Keep the driver and front passenger perfectly comfortable with dual-zone A/C which allows for each person up front to cool or heat their side of the cabin to their liking. Using the circular vents, you can pinpoint the A/C to exactly where you want it.